Festive, joyful and togetherness are just a few words that come to mind when thinking about the holidays. However, a new Allstate poll – released just in time for the 2016 holiday season – shows “hazardous” should be at the top of the list, too. Allstate’s fourth annual national holiday home hazards survey also reveals first-time homeowners are often slightly ahead of their more experienced counterparts, as well as renters, when it comes to preparing their homes for potential holiday hazards. Still, each group has room for improvement, especially since more than half of adults say their home is one of their most important possessions. Just 56 percent of first-time homeowners, compared to only 47 percent of more experienced homeowners and 37 percent of renters, have tested or plan to test their smoke alarms and/or carbon monoxide detectors to prepare their homes for the holidays. Only 46 percent of first-time homeowners, compared to one-quarter of adults, have or plan to prepare for the holidays by inspecting and repairing their home interiors for leaks or damage. Likewise, 47 percent of first-time homeowners, compared to 23 percent of adults, have or plan to inspect and repair their home exteriors – including windows, roofs, gutters and chimneys. Only 56 percent of experienced homeowners and 44 percent of renters typically keep their homes heated above 65 degrees to prevent pipes from freezing, although this is common practice for 62 percent of first-time homeowners. Just 37 percent of first-time homeowners, 23 percent of experienced homeowners and 21 percent of renters usually limit the number of lights per outlet or power strip to prevent a live Christmas tree fire. Placing their live tree away from heat sources to minimize fire risk also is more common among first-time homeowners. A total of 45 percent say they typically do this, compared to just over a quarter of adults. Nearly 60 percent of consumers will do their holiday shopping online, with the majority taking advantage of free delivery, according to the National Retail Federation. Allowing those packages to be left out on the porch makes them easier to steal. More than 20 million Americans have had deliveries swiped from their doorsteps, according to a study conducted by Princeton Survey Research Associates International. Nearly four in 10 homeowners – both first-time and experienced – frequently allow delivered packages to be left out on their porch or stoop. About three in 10 renters do the same. Only 41 percent of first-time homeowners often make sure someone will be home to accept the package, something that happens even less with more experienced homeowners and renters. Just 13 percent of first-time homeowners, compared to 10 percent of experienced homeowners and 9 percent of renters, frequently have packages delivered to them at work. Just 16 percent of first-time homeowners, 17 percent of renters and 27 percent of experienced homeowners say they plan to stop their mail and/or newspaper delivery before taking a holiday trip. Eighty-one percent of first-time homeowners, compared to 80 percent of renters and 77 percent of experienced homeowners, plan to ensure all of their doors and windows are locked before they leave on a holiday trip. Nearly 70 percent of first-time homeowners, but only 59 percent of experienced homeowners and 45 percent of renters, say they will make sure vehicles left in their driveway or garage are locked. Social media also can unlock opportunities for holiday home hazards. First-time homeowners – about three-quarters of those surveyed are millennials – are more likely to take risks on Facebook, Instagram, YouTube and other popular sites over the holidays. Seventy-one percent of first-time homeowners say they’re likely to go on social media to share pictures or video of themselves at their holiday travel destinations, compared to half of renters and 44 percent of experienced homeowners. About a third of first-time homeowners say they’re likely to share details about their travel itinerary, such as being at the airport or on their way home – information that only 22 percent of renters and 19 percent of experienced homeowners say they’re likely to share. 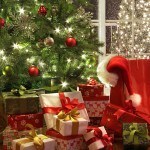 And 65 percent of first-time homeowners, versus 38 percent of adults, say they’ll probably post presents they received.